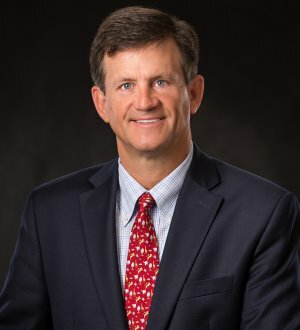 Robert C. Divine is the Chairman of the Immigration Group of Baker, Donelson, Bearman, Caldwell, & Berkowitz, P.C., a law firm of 540 lawyers and public policy advisors with offices in 14 cities from Washington, D.C. to New Orleans. Mr. Divine served in Washington, D.C. from July 2004 until November 2006 as the first Chief Counsel of United States Citizenship and Immigration Services (USCIS), the world's largest immigration services agency within the Department of Homeland Security (DHS). From July 2005 until July 2006, he served as Acting Director and then Acting Deputy Director of USCIS. In early 2004 he served as an expert for the U.S. Commission on International Religious Freedom evaluating the impact on asylum claims from DHS' implementation of expedited removal procedures. He is the author of Immigration Practice, a 1,600 page practical treatise on all aspects of U.S. immigration law that is revised and reprinted annually to reflect the law’s constant changes. He has practiced immigration law since 1986 and is the current Chair of the American Immigration Lawyers Association’s Interagency Committee and formerly chaired AILA’s liaison committee to the U.S. Department of State. His practice includes all aspects of U.S. immigration law, representing large and small international and domestic employers, family sponsors, investment regional centers, and individual foreign nationals. He has also litigated significant business matters, including class action employment discrimination, contract, commercial, product liability, antitrust, ERISA benefits, business torts (including RICO, misrepresentation, Consumer Protection Act), and immigration-related criminal matters.